The Alfa Romeo Stevio Quadrifoglio has beaten the Cayenne Turbo S just days after the 911 GT2 RS set a new lap record. Porsche had much cause for celebration this week when the 911 GT2 RS surpassed our expectations and set an astonishing lap time of six minutes and 47.3 seconds at the Nurburgring with an average speed of 114 mph, beating the Lamborghini Huracan Performante and setting a new fastest time for a rear-wheel drive car. Now its employees will be drowning their sorrows, because the Porsche Cayenne Turbo S is no longer the world’s fastest SUV around the Nurburgring. That crown now belongs to the Alfa Romeo Stelvio Quadrifoglio. Taming Alfa Romeo’s first ever SUV at the Green Hell was Fabio Francia, who also set the fastest Nurburgring lap time in a sedan with the Giulia Quadrifoglio in seven minutes and 32 seconds. 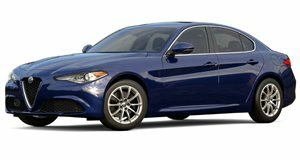 A video released by Alfa Romeo shows Francia pushing the SUV hard around the Ring, and while it couldn’t quite keep up with its sedan sibling, it set an impressive time of seven minutes and 51.7 seconds. Powering the range-topping Stelvio is a 2.9-liter twin-turbo V6 producing 505 horsepower and 443 lb-ft of torque. All that power is sent to all four wheels, allowing the SUV to hit 0-62 mph in 3.9 seconds and top out at 177 mph. Alfa Romeo should probably savour the Stelvio’s victory for as long as it can, because we suspect it’s only a matter of time before Porsche reclaims the record with the new 680-horsepower Cayenne Turbo E-Hybrid. Lamborghini also thinks the Urus stands a good chance of becoming the fastest SUV at the Nurburgring.